151 Pitt St : EXPIALIDOCIOUS! 4 Channel HD Video, Stereo Sound. 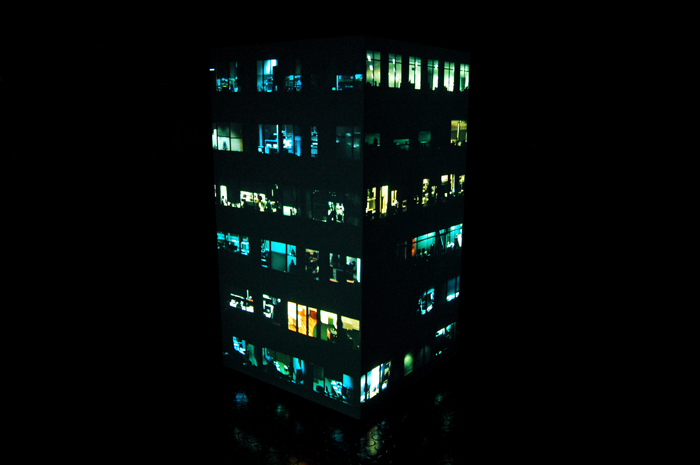 10'07"
151 Pitt St is a video/sculptural installation of a Sydney city office building. 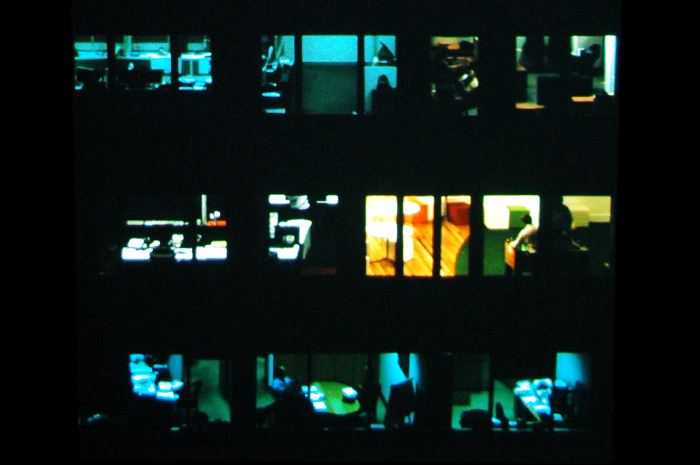 The four façades of the building depict office workers going about their day to day duties. 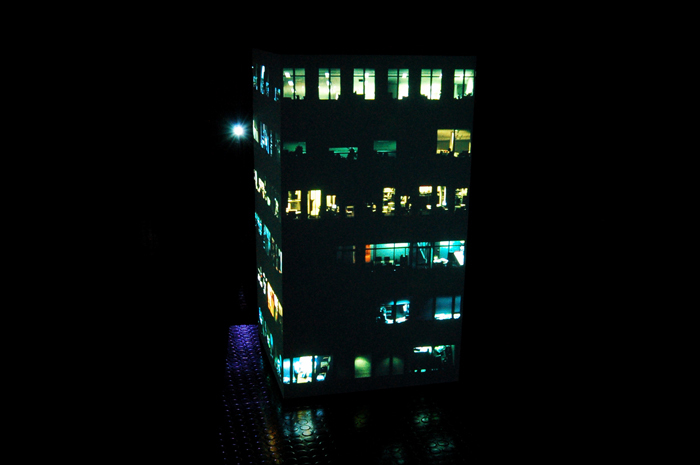 The work has been produced by compositing individual windows together to create the whole. 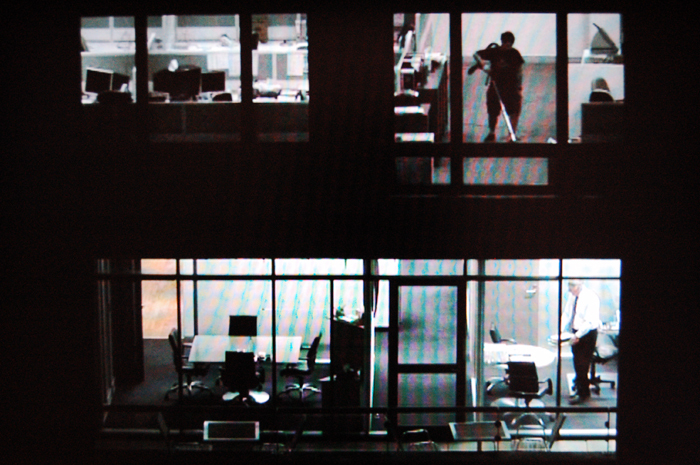 151 Pitt St unfolds in real time satisfying the audience scopophilic desires of observation. 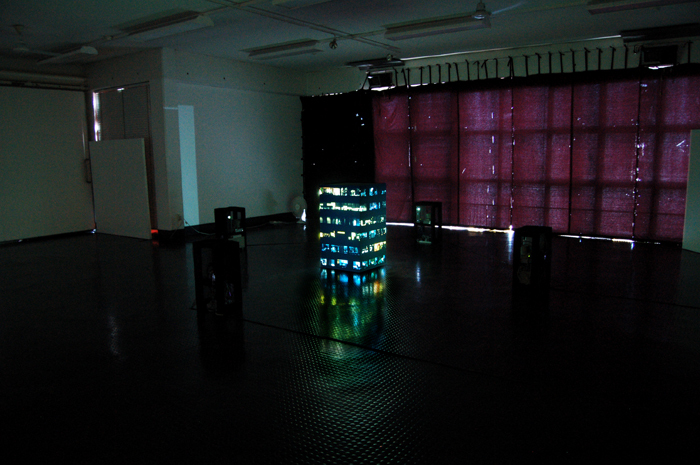 This documentation footage allows the audience to witness how the installation was exhibited.